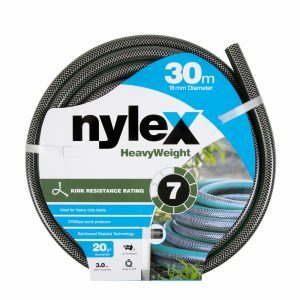 The Nylex Heavyweight garden hose has a kink resitance rating of 7 and has been designed to have an extra thick rubber hose wall making it ideal for heavy duty applications. It is 18mm in diameter which is larger than the 12mm standard garden hose making it ideal for when a flow rate is required. 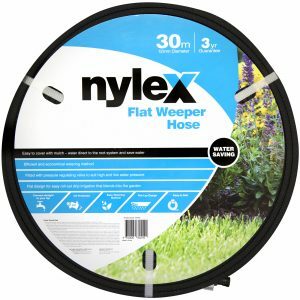 The Nylex Flat Water Weeper delivers rollout drip irrigation for simple and efficient watering of garden beds and borders. 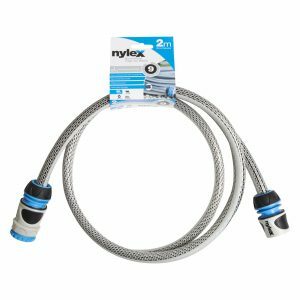 Soaker hoses – The 30m Nylex Soaker Hose provides exrtra length for large gardens and features lay-flat fins for added stability. 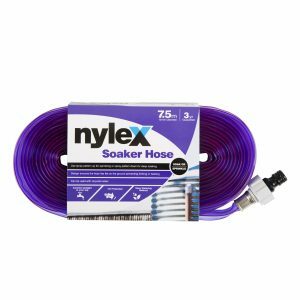 Nylex’s Soaker Hoses are ideally suited to watering lawns, garden beds, ferneries and vegetables patches. The soaker hose works by having fine holes on one side of the hose and when the holes are faced upwards the spray pattern is a fine multi directional stream in an even “strip” style watering pattern. 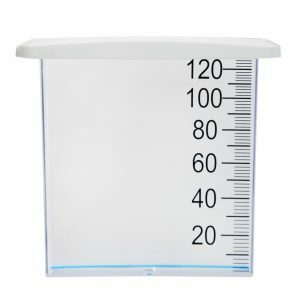 When faced down, it becomes a great water saving product that deep waters your plants close to their roots where it is needed most helping to keep your plants hydrated while reducing unnecessary over-spray and evaporation. Due to its purple colour it can be used with recycled water to advise the water is not safe for drinking. 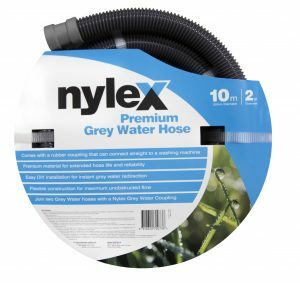 Grey Water – The Nylex range of Grey Water Hoses are ideal for diverting water from your shower and laundry and allow the reuse of water to minimise wastage. Drains grey water to buckets or directly into your garden. Automatic Hose Reels – Ideal for gardens of all sizes, the Nylex Automatic Hose Reel provides safe retraction and stores the hose away when not in use. 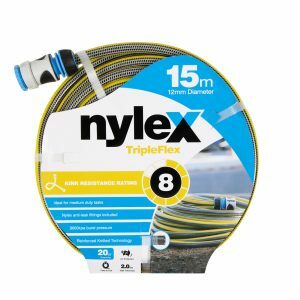 Manual Hose Reels – The Nylex Manual Hose Reels have been designed to be lightweight, durable and compact providing the perfect combination for the everyday gardener. Brass Fittings – The Nylex range of Brass Fittings have been developed to provide the most robust fittings in the marketplace. 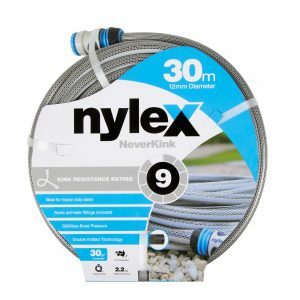 Plastic Fittings – The Nylex range of Plastic Fittings offer a variety of anti-leak heavy duty products that have been designed to withstand the harsh Australian conditions. 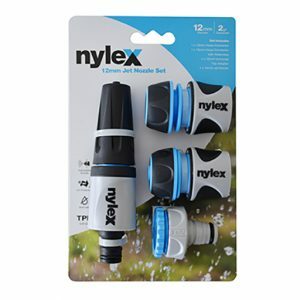 The Nylex 12mm Jet Nozzle Set contains two connectors and a universal tap adaptor. Spray Guns – The Nylex Spray Gun range offer a number of watering functions suitable for all applications. 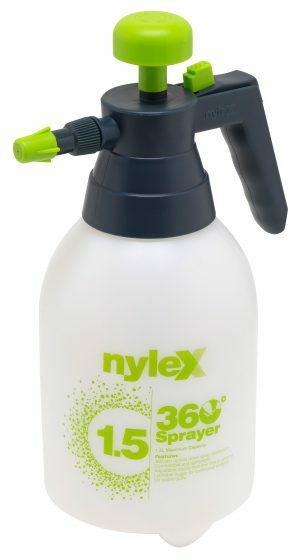 The Nylex Shower Spray gun provides a gentle spray making it ideal for watering delicate plants and seedlings. It can be used with recycled water as its purple colour indicates the water is not safe to drink. Spray Nozzles – The Nylex Spray Nozzle range features soft TPR sections for extra grip and an adjustable nozzle from fine mist to jet spray. 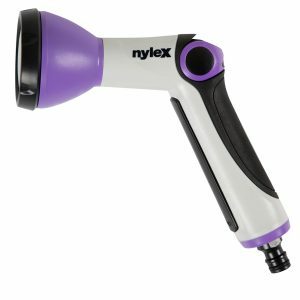 The Nylex 18mm Jet Nozzle features an adjustable nozzle that allows you to simply change the spray pattern. Spray Wands – The Nylex Spray Wand range feature long arms making them ideal for watering pots, hanging baskets, tall trees and hard to reach areas of the garden. Perfect for hard to reach places with its total length of 90cm including a 180 degree swivel head. The wand allows for quick and easy flow adjustment as well as a lockable trigger for continuous spray. With its choice of 7 spray settings is ideal for watering all types of plants. Lawn Sprinklers – The Nylex range of Oscillating Sprinklers features a unique flexible construction that minimises accidental impact. The sprinklers are equipped with 16 durable nozzles that can be easily cleaned with the inbuilt nozzle cleaning plug. 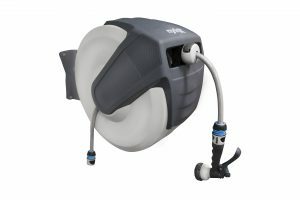 The patented turbo motor combined with a fine mesh filter ensures long lasting performance and stress free watering. 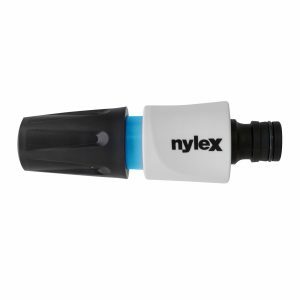 The Nylex Oscillating Sprinkler Plus is an extremely versatile sprinkler offering complete customization of watering pattern. 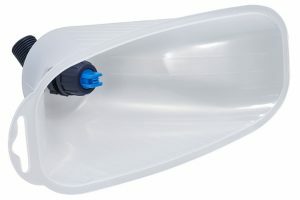 With its adjustable flow, length and width, it will suit your watering needs no matter the area you need to water. The spray width reaches an area up to 170m2. 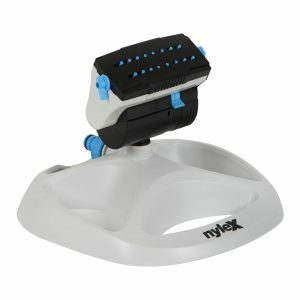 Trigger Sprayers – The Nylex Trigger Sprayers provide the perfect solution for indoor spraying applications. Ideal for spraying indoor plants and general household and spot cleaning. Manual Sprayers – A great selection of Nylex Manual Sprayers suitable for a variety of applications around the home and garden. 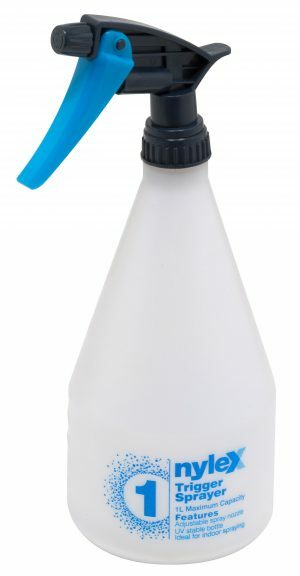 Ideal for spraying the underside of leaves in small plants in gardens and potted plants in balconies or greenhouses. 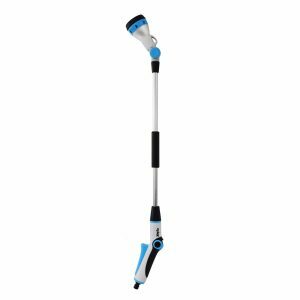 Shoulder Sprayers – The Nylex Shoulder Sprayers have been designed with a wide opening for safe filling, cleaning and emptying. Ideal for spraying small plants and shrubs and plants in greenhouses. 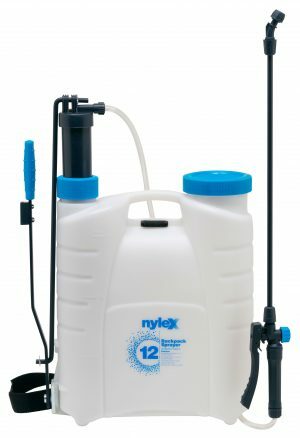 Backpack Sprayers – The Nylex Backpack Sprayers are ideal for spraying large areas and tall plants. Ideal for spraying large plants and trees. Ideal for a more accurate spray application or when spraying on windy days. 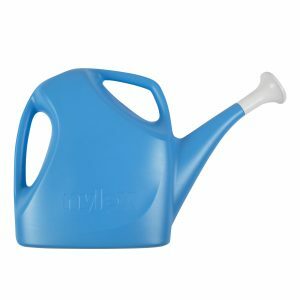 The Nylex 9L Watering Can is sturdy and durable. It features graduated marks to assist in mixing, a fitted watering rose with small holes that gives an even distribution of fine water droplets and two ergonomically designed handles for greater balance, stability and comfort. 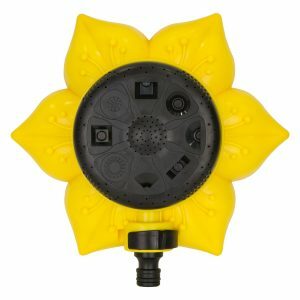 Ideal for the home gardener, it will give you precise control over watering to achieve a green, luscious garden. 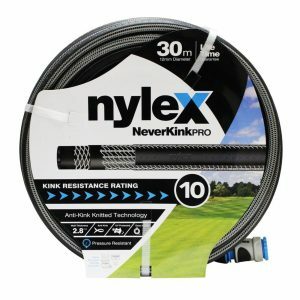 The Nylex NeverKink garden hose utilises anti-kink knitted technology providing a superior kink resistance rating of 9. 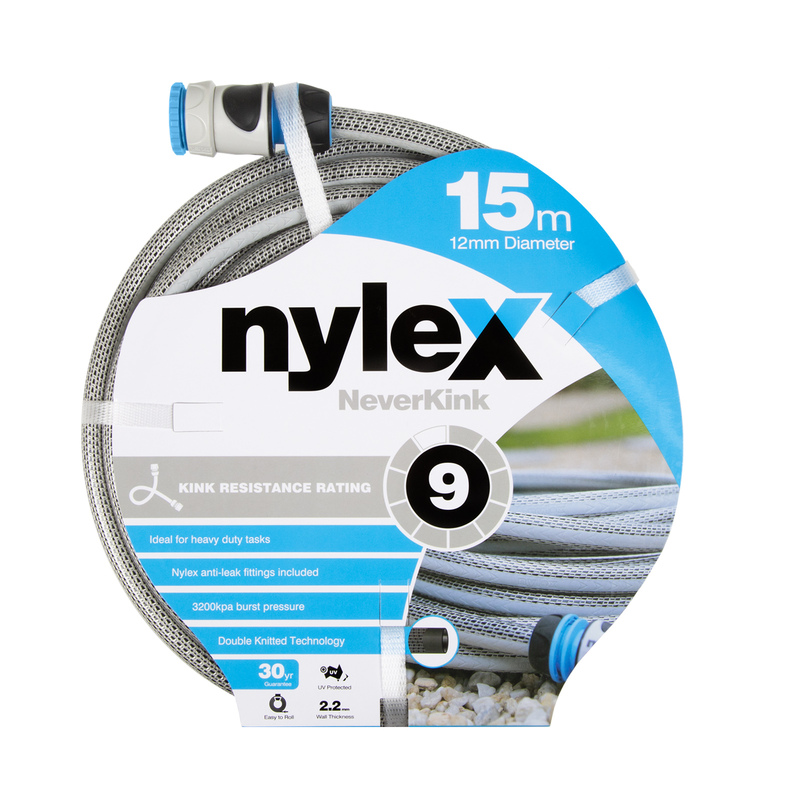 The NeverKink garden hose is supplied with heavy duty Nylex anti-leak fittings for a quick and secure tap connection.